Which helmet do you prefer? Pretty simple. Which Medieval/Early renaissance helmet do you prefer? I find myself just now getting into armor. Always been a fan of the kettle helm myself but I'm starting to see just why the bascinet is popular-it's user friendly! 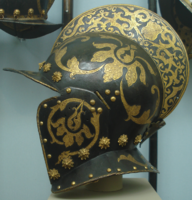 If there's another design of mid-late medieval or early renaissance helmet you prefer you can vote "other" and then in the replies say which one and describe why. Ever since I started really paying attention to armor, I've always had a bit of a weakness for Vendel period ocular helms, especially with a full aventail. 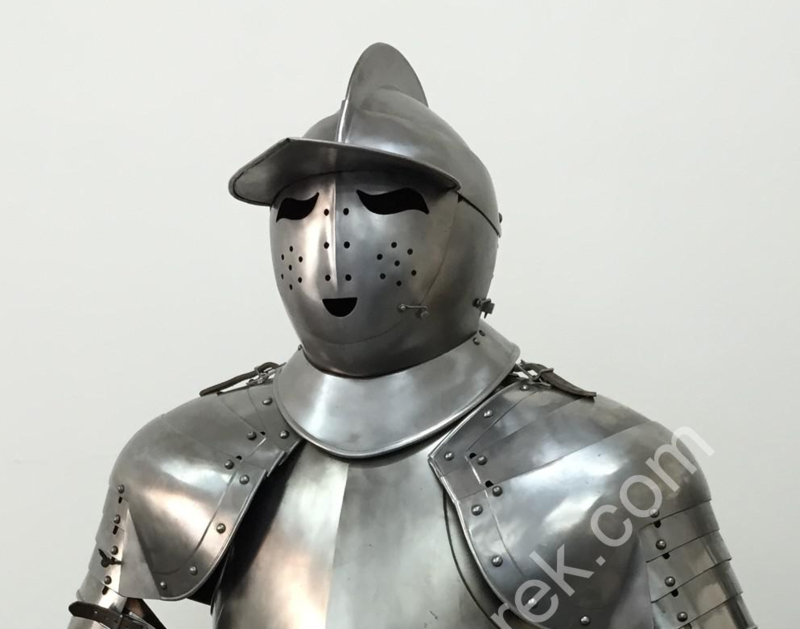 But, since this is more about late-Medieval/early-Renaissance periods, I'd have to go with the next best thing, which is a spangenhelm with a face guard; add in a mail coif and you have something that offers a good amount of protection to everything above the shoulders while retaining good visibility and breathability. Not much point of having a super protective helmet if you can barely see or breathe while wearing it. 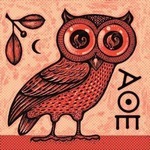 Storytellers and writers are all gods and goddesses, to a one. Musicians are their host, painters their scribes, and actors their saints--but all arts start with a story to tell. Vincent's Hall of Blades. Go on; take a peek. You know you want to. The ones that cover the face are a nightmare in sparring. You feel like you're in a box and can't see much or breath. Even the open faced ones kill my neck after a while. But it's the old trade off - protection for mobility/comfort. Henry V of England got an arrow in the face as a result of keeping his visor up during a battle (as I'm sure you've heard before). You know me....I'm a sucker for the Great Helms. That's why I have three. Other than those, I like the looks of a German-style Sallet with the visor and riveted tail-section. I like all the kinds in your poll. However, my favorites would probably be a tie between a great helm and a conical spangenhelm with nasal guard and mail coif. The latter is more comfortable, so maybe that one takes the cake. Looks alone, though, its the great helm. Just something about it. Its a pretty daunting thing to be staring down when facing an opponent. 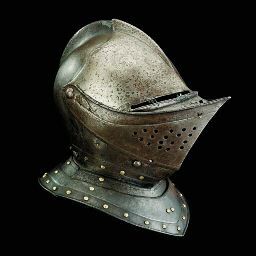 Do spangenhelmets with nasals count to (early) mid-medieval? Easy: a morion, same as the Swiss Guard use to this day. The pikemen of the Honorable Artillery Company in London wear a similar helmet on occasion but I don't think it's a morion. My second is a Corinthian helmet. 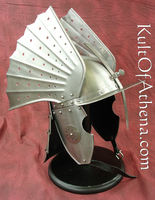 Armets and closed helms, especially ones with nice angular, pointy visors! Love that aesthetic, I have one of my own - a Windlass Tudor Armet, and I love it to bits. Would love to get a custom made one, though! 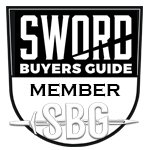 This must be my favorite helmet, but I voted sallet, they are my favorite group very closely followed by kettle helmets. Armets. I like a helmet with options, and which doesn't look like I am wearing a cookpot on my head. That helmet/armor always reminds me of some of the armored combatants from Berserk's Golden Age arc, particularly Bazuso. For sure, I really loved the golden arc movies, I'm sad about what they apparently did to the new series, especially the CGI..Haven't even bothered watching it. Is that a girl's helmet? No way a bascinet for me especially since I don’t anticipate anyone shooting arrows at me. Admittedly a bascinet will give me better face protection but I don’t think the price is worth it. I think my ears will be ringing long after I receive the blow. Looking at the world through little peep holes or slit wouldn’t be doing my claustrophobia any good not to mention my restricted vision although I understand the knights opened this up for hand to hand combat. I understand breathing is also somewhat restricted. For me it’s my kettle. It’s lighter, I get excellent visibility, and hear well. My ears don’t ring as if I were in a bell when struck, I just get a “ping”. The visor gives protection to my shoulders from blows, and eye from sun and rain. It’s easy to carry when removed from my head. And I dare say my kettle is cooler and I can turn my head. To me it’s a no brainer. If I had a bascinet it would have a permanent home on a shelf where I would admire it, but to wear that sucker-no no.